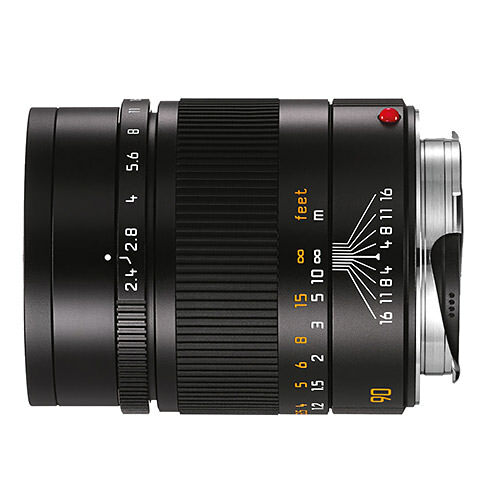 Lens Description: Balancing a compact size with a fast aperture, the black Summarit-M 90mm f/2.4 Lens from Leica provides users with a fast, fixed lens with a short telephoto field of view. The 90mm utilizes a 6 element and 4 group optical design that allows for sharp optical performance across the frame. An aperture range from f/2.4 to f/16 also contributes to versatility in a variety of shooting conditions. Additionally, the lens is fully manual focus and features 6-bit coding for bringing up frame lines and transferring metadata to the camera.